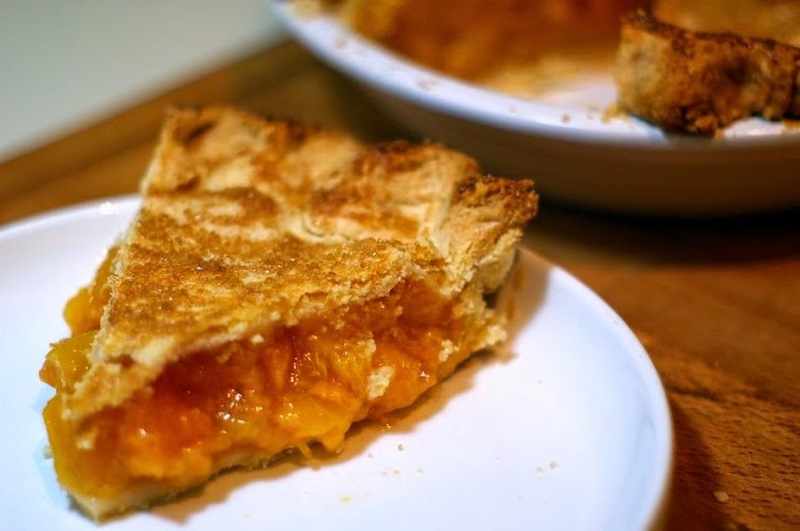 Discuss Cooking - Cooking Forums - Does the crust for peach pie need to be prebaked? Does the crust for peach pie need to be prebaked? Should a peach pie crust be prebaked? I see some recipes calling for prebaked, others not - both call for cooking the peaches in the oven at some point (in other words, the filling is not fully cooked before adding to the crust). I'd prefer not to prebake since it's just an extra step and time for the crust to cool, etc., but what would you do? I do what the recipe that I'm using tells me to do. Peach pie filling is very juicy until the thickener binds the liquid. When I make pies that have significant liquid in the filling, I brush the crust with egg wash, then partially pre-bake the crust before adding the filling. This is called "blind baking". The egg wash sets and forms a moisture-proof barrier between the filling, and the inner crust. By blind baking with egg wash, the crust is more tender, and flaky, even on the bottom. Sometimes I blind-bake the crust for 7-8 minutes, but most of the time not. Fruit pies can cause soggy bottom crusts, but if I'm doing a double crust pie, I really can't blind bake and have it sealed shut. I counter the soggy bottom by using a ceramic pie pan (glass works very well too), and cooking it at the bottom rack position in the oven closest to the element. This works for me with pumpkin pie as well. This gives the intense heat needed to cook the bottom crust. Great ideas, everyone. I'm just not good at making pies, so I do a lot of cobblers and crisps. Peach crisp is one of my favorites! I always pre-bake my peach pie crusts, but then again I have made only fresh peach pie. In that case the crust is fully baked, then filled with glazed peaches and topped with fresh whipped cream. I make at least one peach pie every summer from local peaches, it might be my favorite fruit pie! I think that this one is from last summer. Can I have a piece of that pie please?